For some, working on their thesis sounds like a lonely and scary time, but, on the contrary, it can be an enjoyable period of serious and substantial personal growth. This course empowers students in the period working on their thesis project. We address students who want to ‘own’ their thesis project and who want to discover their best way to finalize projects such as a thesis project. In other words, students who want to become ‘professional (thesis) project finalizers’. Nice for the thesis project that will finalize more smoothly and most likely with a better result. 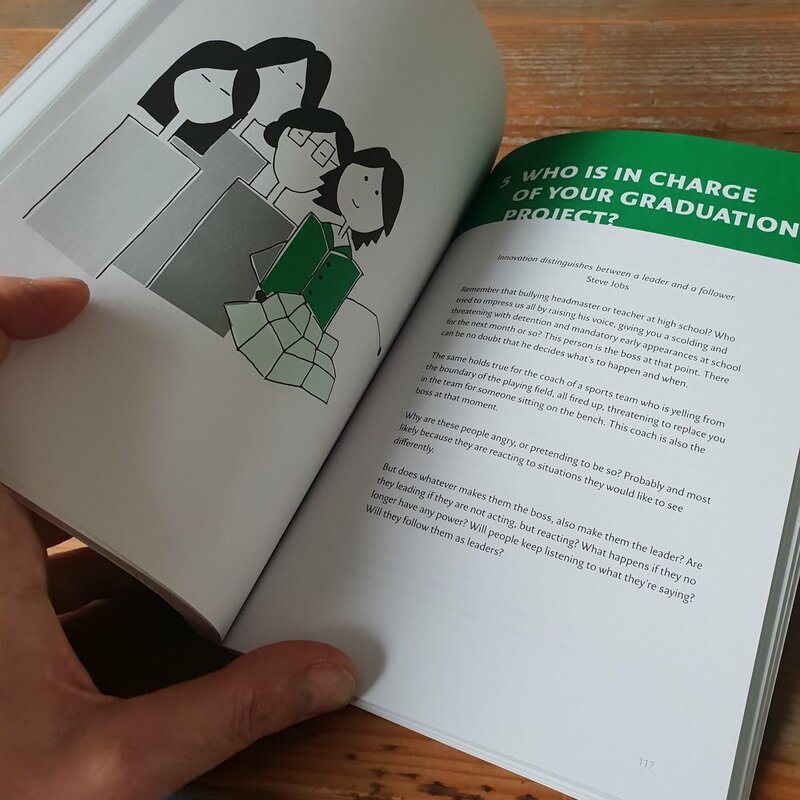 But even nicer for your professional life after your graduation if you have the ambition to become a project leader, manager or CEO and create a situation and atmosphere in which you and the people in your team can perform. We have helped, coached and supervised hundreds of individual thesis projects on BSc, MSc, MA, PhD and MBA level very successfully with our human oriented, decisive and energetic approach. We helped them to use their thesis project to substantially develop their personal and project leadership style and to improve their project management skills. We helped them to make their thesis project an enjoyable period and to become proud and confident about themselves and their achievements. Through this course, we live our dream to make this approach available to many more students all over the world. The content of this course is also used often in management trainee programs. Not to finalize a thesis project of course, but for new employees to discover their way of becoming an effective project leader. If your organization is interested in this contact us here.